after four years of successful purchase of different brands of Iranian drums like Helmi and Shirani, Santoori intended to reproduce the lost sound timbre of Maestro Hossein Tehrani's Tombak. Santoori Musical Instruments is grateful to present the old timbre of Tombak, which dates back to Ostad Hossein Tehrani. 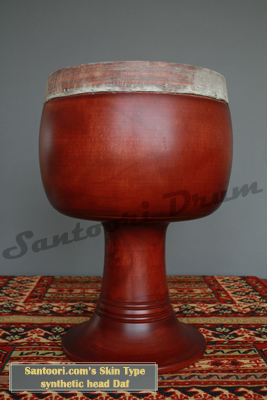 Let your Tombak shows any finger fantasies based on Santoori new drums implying professional quality goat skin. 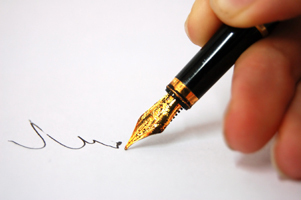 Any online purchase has it's own difficulties that's why we offer you a live consultation so that you clear inexplicit points and feel comfortable. My drum arrived last night. It's perfect. Tombak (tonbak or zarb) is the chief Iranian goblet drum. 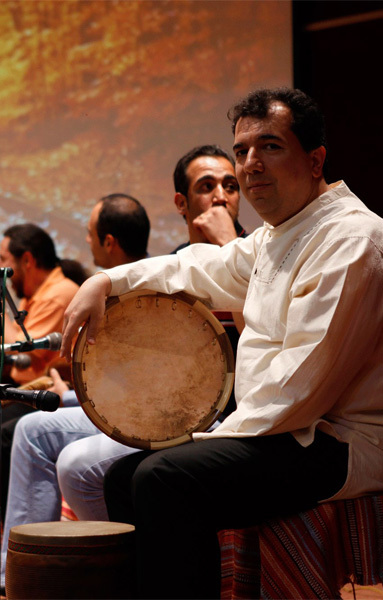 Tombak is the goblet shaped drum of classical Persian music, which is the main drum of classical Persian music. In the past, was considered an accompaniment instrument. Thanks to great efforts of the late maestro Hossein Tehrani (the father of modern tonbak), people's opinion changed a little bit and this drum had a more important role in classical Persian music and was considered as a solo instrument. In the earlier time buying a quality Tombak was really hard. 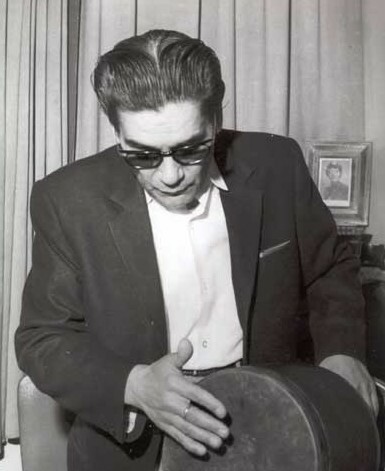 After this instrument got more popular, some Tombak producers like Ostad Fereydun Helmi and Mr. Shirani from Isfahan made this drum in mass quantities. This job involved the lower quality for new generation of Persian Tombaks. Tombak, Dayereh, Daf Santoori.com now after serving for more than 2 years serving only picked up instruments was very committed to reproduce the old version of Tombaks, which were not mass produced. After many times varnishing of the instrument in thin alcohol-based lack layers occurred the final varnishing process. The most authentic sounding Tombaks are usually like any other Persian musical instrument the ones, which had a professional thin nature varnish on the sound-box. Santoori.com is proud to make in cooperation of master Helmi new Tombaks with varnishes like old traditional ones based on sprit varnish.